Meet The Leadership Of North Star Food & Beverage Assoc. 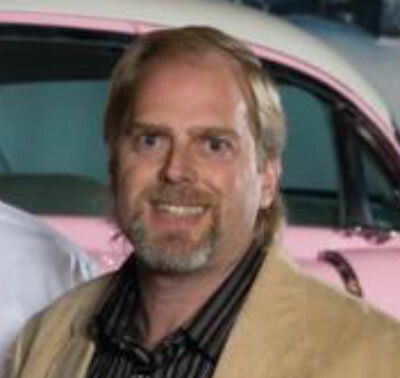 Lenny is a thirty plus year veteran of the entertainment industry with extensive experience in general management, major capital expansions, and in-park revenue, with special emphasis in foodservice operations. Currently his company, Freund Family Foods, provides food & beverage to dozens of the country’s largest fairs, festivals and special events. As managing partner of North Star Food and Beverage, he provides food and beverage consulting, operations and revenue share opportunities for the recreation and leisure industry. Lenny’s career started at the 1982 World’s Fair, in Knoxville, TN . He spent ten years with Six Flags Theme Parks in three separate locations, in the positions of Director of Revenue as well as Vice President and General Manager. He served as Director of Foods for several years at Dorney Park and Wildwater Kingdom in Allentown, PA and Schlitterbahn Water Park in New Braunfels, TX. Lenny is a past member of the IAAPA Food and Beverage Committee, and has presented at the annual IAAPA convention on many occasions. Lenny and his wife Sue have been married 29 years, and along with their seven children reside in Newnan, GA.
Ken has committed his professional life to working within the recreational, leisure-time and attractions industries, focusing on strategic sales building programs, customer service initiatives, and the motivating and training of a large entry-level workforce. As president of his family’s food service enterprise, he operates at the Santa Cruz Beach Boardwalk, KP Arena, and in fairs and festivals throughout the West. As a managing partner of North Star Food and Beverage Associates, he works with similar types of businesses, providing cost effective solutions to growing revenue and decreasing costs. Ken created the WAVES for Success system for improving workplace performance, for any organization that employs and develops teens and young adults, and continues to focus on ways of understanding, in today’s culture, what inspires them to participate, contribute and excel at work. On two occasions his company has been recognized with an IAAPA Brass Ring award in the area of human resource excellence. 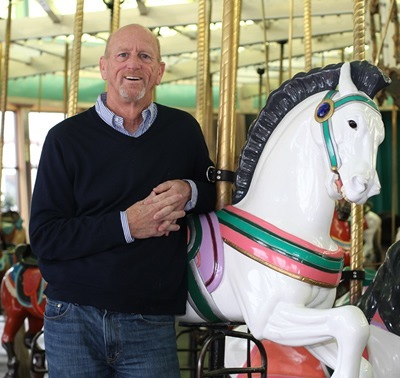 Currently he is a member of the North American Advisory, and the Investment Committees of the International Association of Parks and Attractions (IAAPA), and was a long time member and Chair of their Food and Beverage Committee. Additionally, for the same association, he the lead faculty member for the Institute for Attractions Managers, and is a Certified Attractions Executive (ICAE). He remains an active volunteer for our industry in a variety of other capacities as well. He is a past president of the Santa Cruz Rotary, Chamber of Commerce and board member of the visitors council, and active in many other business, civic or charitable organizations. Through his active participation and contributions to his community, he was named the 2010 Man of the Year for the City of Santa Cruz. He and Renee have three daughters, and are proud grandparents of six. Ken lives in Surf City… Santa Cruz, CA.